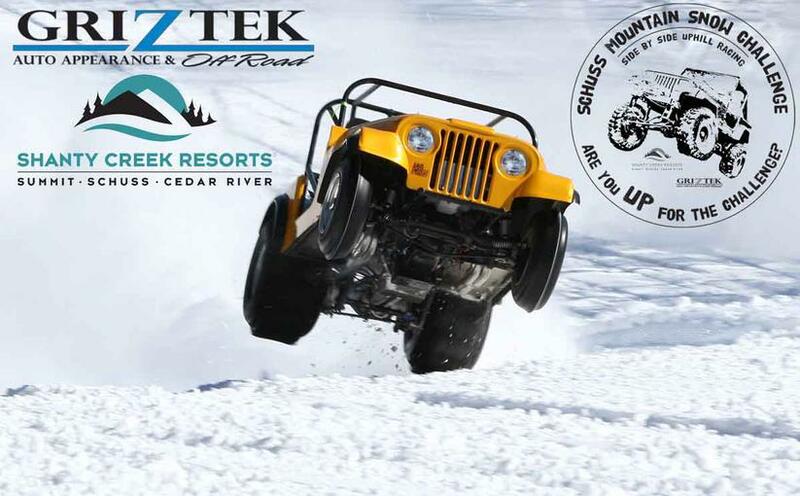 Griztek Auto Appearance & Offroad, GRZ Productions, and Shanty Creek Resorts are proud to bring the action back to the ski slopes at the Schuss Mountain Snow Challenge. Years ago an event was born with the hopes of being something special. Little did anyone know that in just a short time it would grow to become one of the biggest events of the off-roading year. ​ALL competitors MUST register online and pay the registration deposit. Link to registration will open the beginning of February and run through first week of March . No outside coolers or beverages allowed. Outside standing room only, but everyone is welcome and encouraged to bring a lawn chair. 1st round DOUBLE ELIMINATION. Racers losing in the 1st round will shuffle back into a losers round for another chance to advance. Winners from 1st round will advance but wait for the losers bracket to complete. Single elimination after 1st round. Multiple TIRE CLASS entries are allowed. An entry fee must be paid for each tire class entered. Registrants must have a valid drivers license. Drivers must be of age 18 and older. 1st and 2nd place winners in each class receive $$MONEY$$ and placement trophy. 3rd and 4th place finishers will receive trophies. Comp parking/pits will be open to the public until 10:00 am on event days. At that time security will sweep the pits and anyone not holding a CREW PASS will be required to move into the spectator area. Grooved tires are allowed as long as they were originally DOT approved tires. No cut tires. Grooved tires will be permitted with a max cut width of 3/8" wide. Any multi-pass(side by side) grooves measuring larger than 3/8" will disqualify the tire and not be allowed. Limited to vehicles running a "stock engine block and displacement." This is gauged by the number of cylinders, not CID. This means a vehicle must be running the same manufacturer block ( i.e. CJ7 having AMC block) and will be limited to engine cylinder count that were available from the factory. Example: Wranglers, S-series trucks are limited to 6 cyl. No V8s. Vehicles must run a muffler with a minimum body length of 14". No "race bullet" mufflers allowed. Muffler must be inline with the exhaust system, mounted no closer than 28" to the collector or actual "Y" junction. These rules applies ONLY to the Sportsman tire classes. * These classes are being implemented to bring the racing action back to the "everyday Joe." It is intended to provide fairly "stock" vehicles that may be running larger tires or lift kits a place to have a fighting chance at winning. It's no secret the bar has steadily raised every year with faster and better vehicles competing. This has pushed the "everyday Joe" out of the racing since there is little hope to win when lining up against a 700+HP dedicated race truck. The rules are in place to keep the high horsepower rigs out of these classes. On that note, I'm sure there will be people trying to "cheat" their way in. Keep in mind no one likes a cheater, and no one respects or appreciates someone dominating the racing because their vehicle was obviously "over qualified." So play fair, be realistic, and don't ruin it for everyone else by racing where you shouldn't. Remember, let everyone HAVE FUN! DOT - A class: Must run DOT tires. Vehicles must have a full factory frame from axle to axle. Any tire size may be run. Power-Adder Class: Vehicles racing in the P-A class are required to run DOT tires . Allowable are nitrous, turbos, and bolt-on street superchargers, e.g. Vortech, Pro Charger, ect. * Superchargers MUST be serpentine/V-belt driven systems like the above mentioned. Cog belt drive superchargers(e.g. Weiand, B&M) are NOT permitted. Vehicles racing in DOT and ANY TIRE classes will be required to remove nitrous bottles from the vehicle. It will no longer be acceptable to just disconnect the line. SuperModified : Alcohol, turbo, blower, or any other kind of aftermarket forced air induction means you enter into this class. Non - DOT tires allowed. Pretty much anything goes. MEGA Trucks : MEGA trucks are defined by trucks running axles rated at 2.5tons or higher and tires larger than 44". MEGA trucks will race on the Mellow Yellow hill and will contain 2 jumps. ***1 ton axle amendment: a MEGA truck running 1 ton axles WILL be allowed into the class only by running 48" or taller Non-DOT/AG tires/tractor bars. In an attempt to streamline the morning rush and monitor competitor numbers, ALL competitors MUST pre-register. A $10 non-refundable registration deposit is required before registration can be submitted. A cap on class entries is in place. There will be NO/NONE/ZERO entries/registrations available the day of the event. There will be a Master List on hand to check each competitor. Crew Passes: Crew passes will only be available when going through Tech Inspection, at which time competitors MUST obtain ALL the passes needed for the weekend. In addition to the 2 included passes competitors are allowed to purchase up to 3x more passes at $15/day/person. All spectators and drivers will receive a lift ticket style tag that must be worn and visible for the duration of the event. Friday will be run just as Sat/Sun morning. Vehicles will run through the two line inspection area and then parked after tech is done. If you are driving to the event in the vehicle you are competing with, it is highly recommended that you leave your vehicle in the lot to avoid the line in the morning. Anyone entering the main parking area are required to have a Crew- Pass. *Please note - Any vehicles parked in the main competition parking lot NOT registered through tech inspection, or unattended trailers whose owners can not be located, will be REMOVED from the parking lot at the owners expense. Pass on the word. 8:15 am - 10:00 am : Gates open, check in and tech begins. 10:30 am : Drivers meeting and general announcements. Racing to begin immediately following. Short intermission then the DOT-A class begins racing. Early evening : Trophies, awards, raffle prizes will be presented in the Ivan's Lodge after racing concludes. 8:15 am - 10:00 am : Gates open, registration and tech begins. 10:00 am : Drivers meeting and general announcements. Racing to begin immediately following. Short intermission before the ANYTIRE class takes on Good Knight. Equipment will then be moved over and readied for the SuperModified class to run/complete on "The Face." Early evening : Trophies, awards, door prizes will be presented in the Ivan's Lodge after racing concludes. MEGA Trucks! We'll test the waters on seeing how well the MEGA Trucks can tackle the hills of Schuss Mountain. [carry over]The SuperMod class will now consist of a 2 day running. Saturday will be the running of the Double Elimination rounds including the Loser round of racing. Survivors will advance to Sunday single elimination racing. [carry over]As a result of the continuous problems with competitors getting themselves stuck on the hills, each race will be monitored by the line crew. Simply put... if a competitor buries their vehicle and has to be recoved on the hill their class tag will be removed and they'll be sent to the pits forfeiting that class of racing. Common sense will be used to make said decision and decided between the 3 linesmen. There are extenuating circumstances which will be considered. But make it easy, don't get stuck. Cool down periods between rounds of racing will be limited to 5 minutes. There are built in "breaks" at the semi final rounds and final round to help. Be prepared. The SMSC will again have uniformed security officers in the pits at all times. 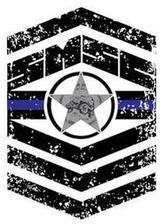 They will be responsible for monitoring activities throughout the area and enforcing the "No Alcohol" rule. If ANYONE is found with alcohol in the pits, your event passes/tags will be taken and you will be removed from the property IMMEDIATELY. If you are a driver caught with or "smelling" of alcohol the officers will assess the situation and take appropriate actions, at the very least resulting in the forfeiture of race privileges and entry fees. The possibility of being turned over to local law enforcement is highly probable. Friday will be open ONLY to Saturday competitors. DOT / SNELL helmet requied to be worn during racing. Vehicles competing will only need to run through Tech once for all classes throughout the weekend. It is the competitors responsibility to retain their class ribbons and number. * * * Drivers/competitors are not required to know this information. This is presented for understanding, not required memorization. - 10 Trucks remain: 10 drivers draw from the hat, 4 tiles say "RACE". Those drivers drawing the "RACE" tiles will race for the 7th and 8th positions to make it to the Semi Final round with the left over 6. - 9 Trucks remain: 9 drivers draw from the hat, 2 tiles will have "RACE" written on them. The 2 drivers drawing the "RACE" tiles will go head to head and race to win the 8th spot. Winner continues and simple single elimination continues from there. - 8 Trucks remain: Obvious, no action. 8 leads to a 4 truck Semi-Finals. - 7 Trucks remain: 7 drivers draw from the hat, 2 tiles will have "RACE" written on them. Those 2 drivers will go head to head and race for a BYE into the final 4. The loser in that race will file back in with the remaining 5(making 6 trucks race), leaving 3 winners to join the BYE winner for a 4 truck semi. - 6 Trucks remain: All 6 drivers race. 3 winners will advance to the Semi Final round. The 3 LOSERS will draw from the hat, two will race for the 4th position. This set up is meant to be simple and straight forward. It isn't any sanctioning body's rules or professional by any means. This is the SMSC format. PERIOD! It's meant to keep things moving along during the main body of racing, yet allows the event to slow down as each class nears end. At this point in racing many trucks need time to cool off anyhow, and allows the staff to prepare for the final rounds. So, just like so many other parts of the event . . . JUST HAVE FUN WITH IT! The 2019 Schuss Mtn Snow Challenge would not be possible without the help from these great businesses and organizations. Interested in hillside advertising? Would you like to promote your business with a vendor spot? 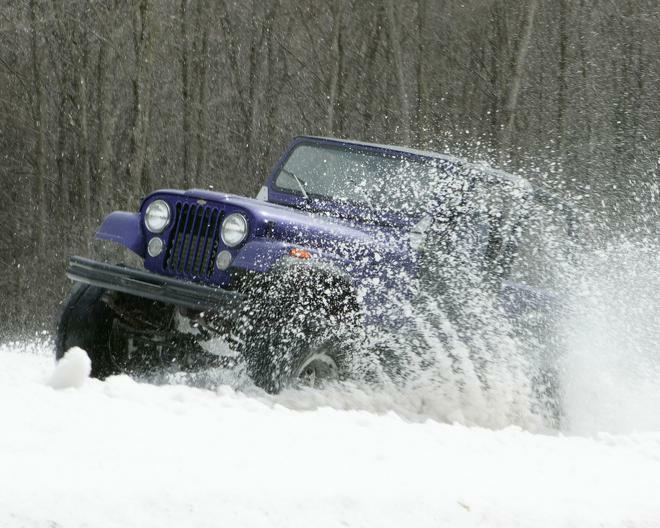 Email SnowChallenge@Griztekusa.com for advertising and vendor spot info and rates. The roots of the event lay in an event missed for years in Northern Michigan. For over a decade ski slope uphill racing was absent from the calendar of winter time activities. In 2009 all that changed. The Schuss Mountain Snow Challenge (SMSC) was born from an ever present interest in the motorsports community for the return of an event like this for all to enjoy. The head to head racing format lends to nearly non stop action for the duration of the classes racing. The minimal requirements meant everyone could worry less about rules and focus more on having fun. What is the SMSC? It is a run-what-you-brung, side by side, uphill race with whatever kind of truck, SUV, buggy, rail, or self dirived vehicle you can drive on 4 wheels. The rounds move fast and the racing is non stop until the end. The rules are minimal. What you won't find are big purses and a bunch of restriction cramping the fun factor. The only requirement to be a part of the event is to come losened up and remind yourself that it's for FUN! Don't get too serious... Seriously! 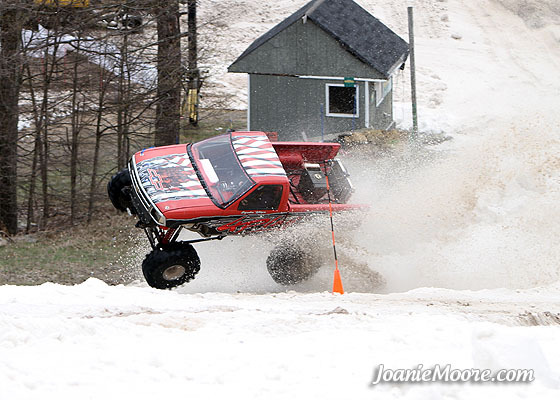 Everyone at the SMSC comes because this is the only event(that we know of) where you can race your truck up a ski slope. A SKI SLOPE for crying out loud! Usually you would be arrested and have your rig impounded for doing something like this. No one comes for the big money, corporate sponsorship, or to wrangle in the points. Show up ready to race, run your hardest, and just have a good time.